On the green is where you make the stroke that could make or break you. It could decide who wins and who lose. The greens would be the most valuable real estate on the golf course. The second most important turfed area for a golfer is the tee. It is where 300 metre drives or 3 metre duffs are made. But for golf course maintenance, the tougher area to maintain would be the fairway. The specific name of this grass never fails to raise a few eyebrows. What can I do? It wasn’t me who gave it its name. God knows what the scientist or botanist was thinking of when they named it. I wish I could call it Paspalumgrass but Paspalum is the genera name for many species and not all of them are grasses fit for a golf course. And adding ‘grass’ to part of the specific name would sound even worse. Fortunately it is also called by the name ‘Seashore Paspalum’ so that I don’t have to go round saying the full scientific name because somebody is bound to ask me to repeat it again. This grass can stand ‘wet feet’ for long periods. Which means it is ideal for Malaysian weather. It can also stand salty water. This is why it is the grass to be used for golf courses by the sea. It has a light green colour and an aggressive growing habit. I am told it has low a fertilizer requirement and quite easy to maintain. There are many reasons why a particular grass is chosen over another and nobody is 100% right. For any kind of grass, there are also reasons why it shouldn’t be chosen and many people can and will give the reasons. Especially many months or years later. Hindsight, as they say, is vision 20/20. 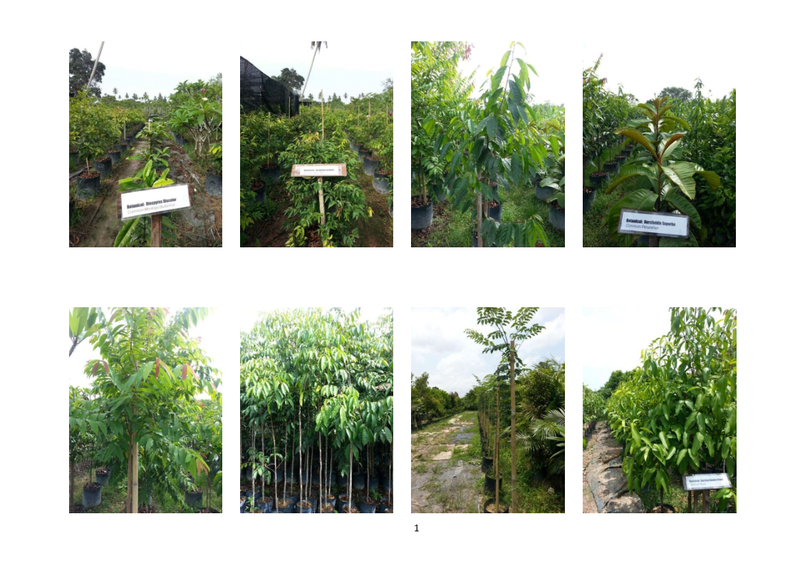 Sime Darby has a big nursery in Sepang and there is one big nursery down in Kota Tinggi (at least there was one a few years ago). Maybe i can help too. What you need them for? Thank you, it use for project… at kuantan. can plan by seed ?? any seller ?? Sorry no, I do not know of any seller in Malaysia or Asia for that matter that plant by seed. The seeds are mostly sterile (mandul) so not appropriate. Use stolons or sprigs. Issit suitable to use bermuda greenless park for football field..? Very suitable. I would recommend it. Zoysia is better but maintenance is higher so GLP is what I recommend for most Msian fields. But it NEEDS SUNLIGHT;if your field has too much shade, consider Zoysia matrella or Cowgrass. Where can I get Serangoon grass in singapore or Malaysia? Is that called pearl grass as well? No Pearlgrass looks like Cowgrass except its shorter. So far I can find only one nursery selling Serangoongrass. Let me know where you are located via my email mynormasATconsultant.com and I will get them to call you. Where can i get cow grass (from nursery) nearby Kampung Kuantan? It is for project use. I need around 7000m2. Sorry for late reply. The good thing about cowgrass is that because of its genetically dark green colour, it doesn’t require much fertiliser. Ironically, the bad thing about cowgrass is that because of its genetically dark green colour, most golf courses don’t fertilise it much. It does need fertiliser; it just doesn’t need it as much as foreign grasses like Bermuda and Zoysia. I would suggest either an ordinary NPK 15:5:21 fertiliser (I always favour a high K fertiliser) or perhaps, for a less polluting and wasting slow release fertiliser, a TurfMaster 20:6:10. I believe both of these can be purchased from your friendly local estate fertiliser shop. If you can’t find one, email me at mynormasATconsultant.com (replacing AT with @) for a list of shops that has them. I am told there are about 60 shops selling these in the country. If you are in Klang Valley, maybe you can even buy direct from the main supplier. Perhaps they will supply to you if you are not in the Klang Valley if you buy in large quantities too. Now then, another good thing about cowgrass is that it can grow in most conditions. Except for salty, near-seashore soils. It can grow on clayey soil and sandy soil too. Both types have their limitations of course. But I believe that cowgrass has a wider range of soil condition in SE Asia. Wack Wack Country Club in the Philippines is one example of an international golf club that uses cowgrass on one of its courses. KGNS in Subang too. Now if you have cowgrass in less than desirable soil conditions, you can uses soil conditioners for example Wake Up, Soilplus and pH Plus (for acidic soils). If the soil is sandy, it may lack in trace elements or micronutrients; you may find Grun Up useful. For other choices of fertiliser, you can also try Rizammina Premium 11:1:4 plus Amino or foliars such as Bioforce Greenand Benegro 21:21:21. For economic reasons, I usually recommend granular fertiliser over foliar; however, foliar will give faster results and – for micronutrients – is more economical to use foliar. where to buy cow grass seed in malaysia?? No where. It grows vegetatively. Buy sods. what herbicides do you use to kill cow grass in 419 fairward? I looked after 419 fairways from 1993 to 2000. I remember using Ally (metsulfuron methyl I think was the a.i.). It’s not sold now. I believe its sold as Almix with metsulfuron and chlorimuron ethyl. Way back in 1994 when I was first introduced to Ally, I had a staff with a 15litre knapsack sprayer try out different dosages. My mistake was leaving a box of Ally with him. Where I told him to put in a 1g scoop, he put in a bottle of Ally into the knapsack; surprisingly there was no damage to the 419. Did NOT try that with Almix. I am told various other broadleaf herbicides can be used too. Maybe you could do some trials with them too.